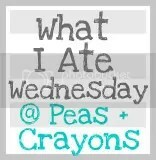 happy what i ate wednesday, everyone! i’m posting a bit late this morning because i didn’t have time to get started on this post at all last night! our friend (and brad’s best man at our wedding) is in town for a job interview so he stayed with us last night and we went out for dinner. i have been eating so much delicious food lately and having so much fun photographing it. i actually had several days of food photos to choose from today, so you get the best breakfast, lunch, and dinner from the past week! the winner for breakfasts was this bowl of hot oats. it was my typical oats mix: 1 mashed banana, 1/3 cup rolled oats, 1/3 cup vanilla almond milk, 1/3 cup water, 1 tbsp ground flaxseeds with very cherry berry blend, cashew butter, and granola on top. i really don’t think i’ll ever get sick of very cherry berry blend in my oats. i love the giant juicy cherries! i did throw together this random salad to get rid of a bunch of food before we leave for the holiday weekend. 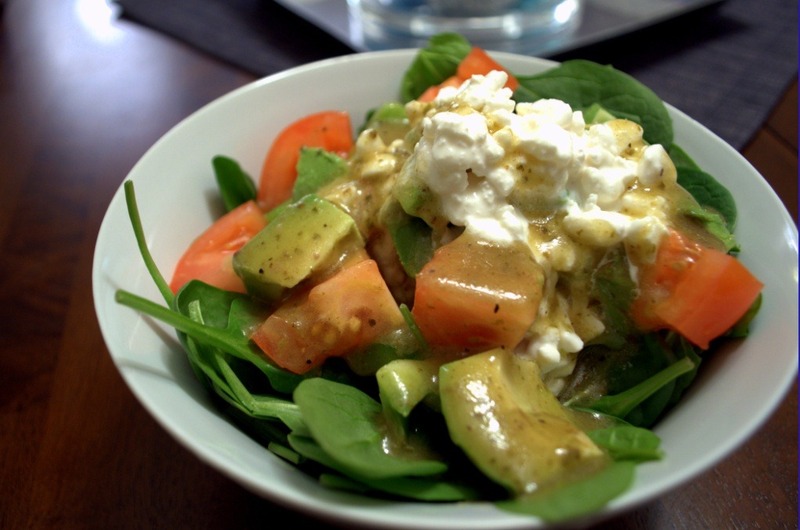 a bed of spinach with a tomato, some green pepper, half an avocado, cottage cheese, and this awesome dressing that i forgot i had from the farmers’ market. 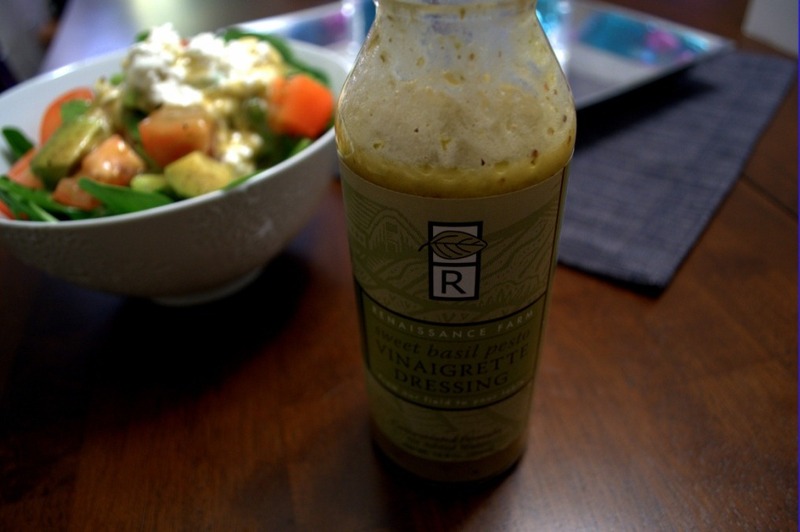 it’s sweet basil pesto vinaigrette from renaissance farms and it was as good as it sounds! so flavorful and it tasted like pesto and a vinaigrette at the same time. i think i have a new favorite dressing! madison friends, definitely check this out next time you’re at the farmers’ market. my favorite dinner this week was a b.l.a.t. actually, a b.s.a.t. 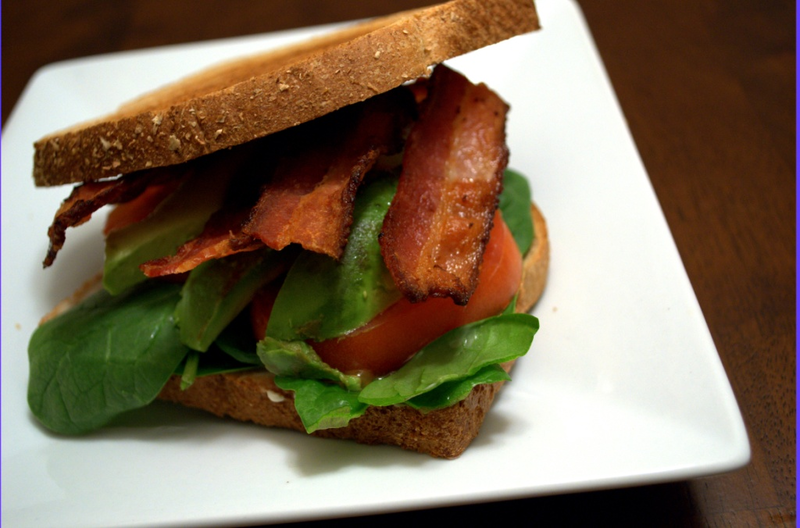 (bacon, spinach, avocado, tomato) on wheat bread. we ate this with some steamed broccoli. it hit the spot! i love ending my day with a bunch of veggies. too often i feel like i begin the day really well with lots of fruit, whole grains, and healthy fat in my breakfast and that i fall apart by dinner time. packing veggies into lunch and dinner definitely help keep up the health habits! in other news…we gave the dogs their christmas presents a bit early since we won’t be home for christmas. 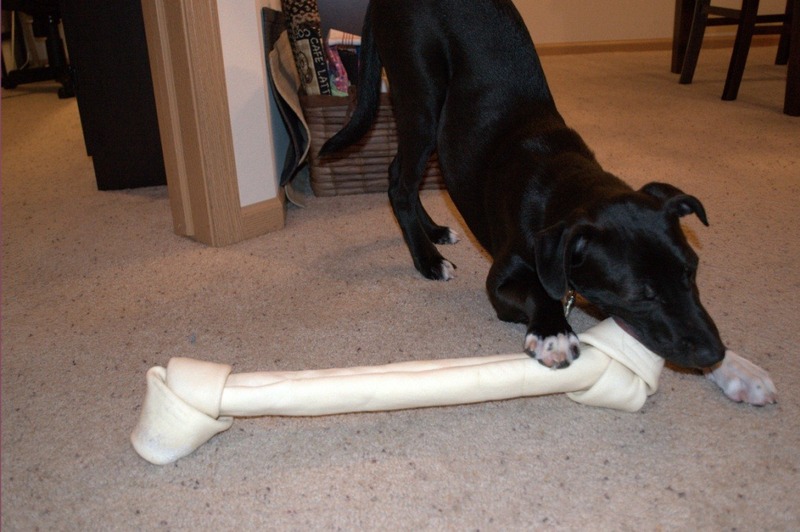 ok, maybe we both wanted to do something and they were driving us crazy, so we tried to distract them with these massive bones! we gave them the bones on monday and you can hardly tell they’ve been chewed at all – these are going to take them a while to get through! like i mentioned before, today is brad’s work holiday party, so i’m at home today. i think i’ll brave the crazy weather as soon as i publish this post and get my workout done this morning. it was raining outside when i woke up, then i heard a bit of thunder, and now it’s snowing giant flakes! hopefully the roads aren’t too slippery! do you get your animals christmas presents? do you have a ton of produce in your fridge to eat before you travel for the holidays like me? eek. i don’t know what i was thinking getting so much kale/spinach/carrots/tomatoes – i am going to turn into a vegetable before friday! This entry was posted in breakfast, dinner, food, lunch, meals, wiaw and tagged avocado, bacon, oats, what i ate wednesday. Bookmark the permalink. Both Clifford and Tanner will unwrap presents. They know there is always a bone wrapped for them! 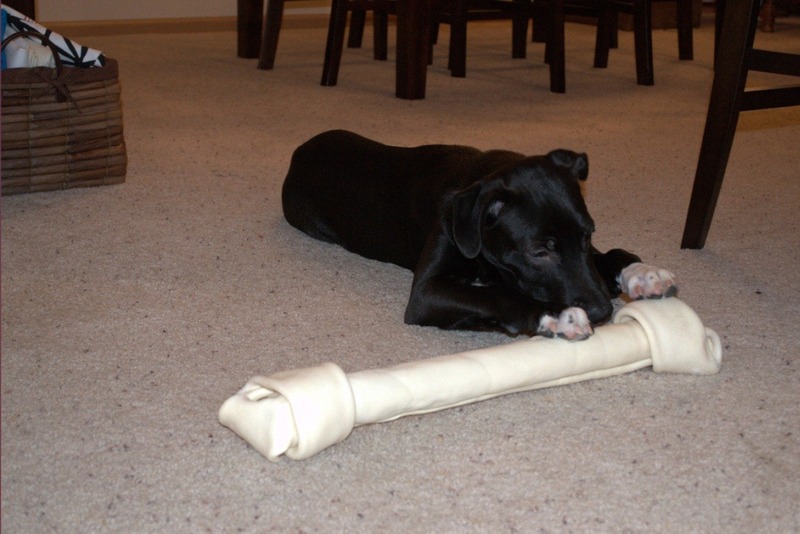 haha that bone is as big as he is! I just ate my last apple this morning :). We don’t have pets, but Daniel wanted to get my parents’ puppy a gift this year, so we got him some chewy stick things. I love your oats picture ~ very awesome! 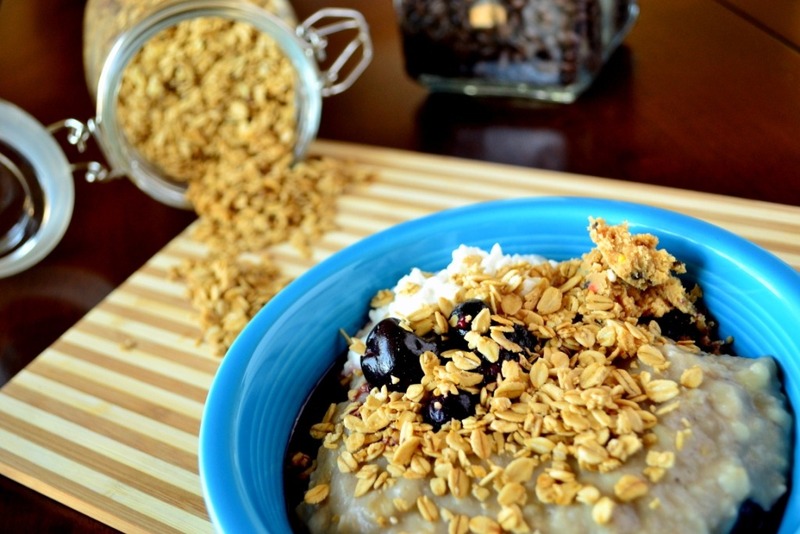 Those oats look amazing! I am loving the Fiestaware! Haha the only pets I have are fish 😉 so no presents for them! 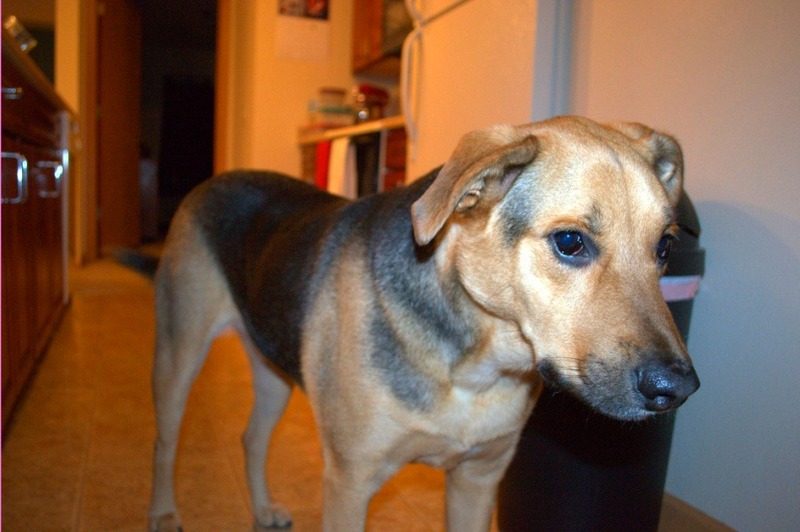 But I did get a present for my brother’s dog! I am now craving a BLAT. YUM! Love the picture of your breakfast! That blue bowl really makes it “pop”!